In collaboration with the CDCRC, Joyvin Mobile Grocer is serving the West Dayton area. They sell products like a grocery store, focusing on healthy food and other domestic necessities. 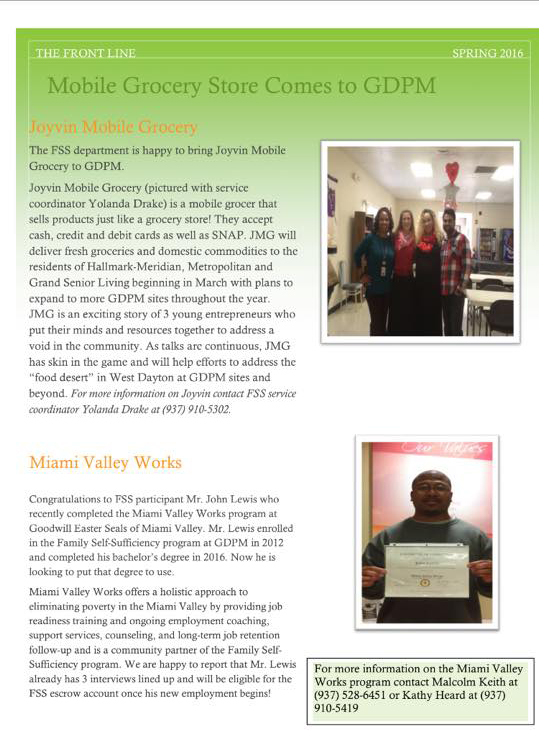 For more information about Joyvin Mobile Grocer, please visit the JMG Facebook page or read this recent article. To support the mobile grocery, please visit their Go Fund Me page. Agaytha Corbin, President and CEO of the CDCRC talks about a home that was made available to the CDCRC by Wells Fargo and donated to a local family. Ellie Schenck and her husband Jeremy were the recipients of a new home made available by Wells Fargo and donated by the Community Development Corporation Resource Consortium. In this video, Ellie describes the work that they have done to improve the home. The focus of this food drive is “giving the good stuff,” which encourages families to donate the kinds of foods that have the most impact at a pantry - peanut butter, canned tuna fish, canned meats, canned vegetables and other non-perishable nutritional items - rather than less nutritious snack items or those other foods from the back of the cabinet that rarely get eaten. Please see the donation list for other suggested items. 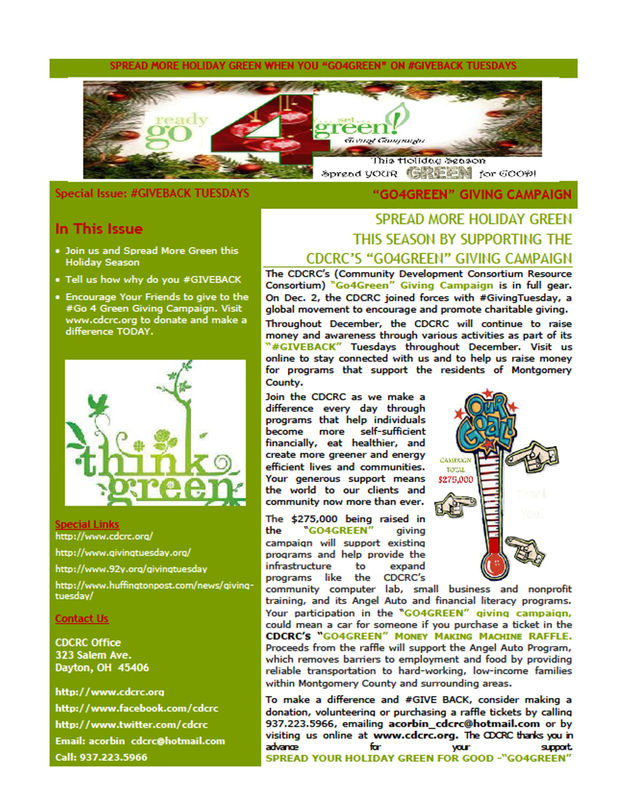 For more information on the food drive, please see the complete press release. For more information about the "Battle Against Hunger" basketball games on November 21, please see the game flyer. 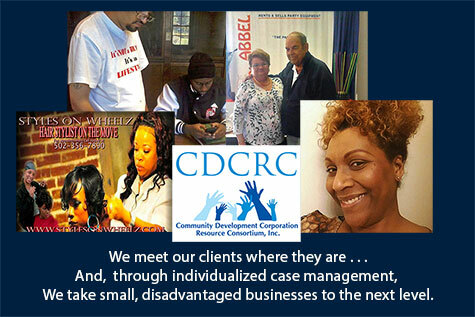 Welcome to the CDCRC - Working Together to Create Community Wealth! 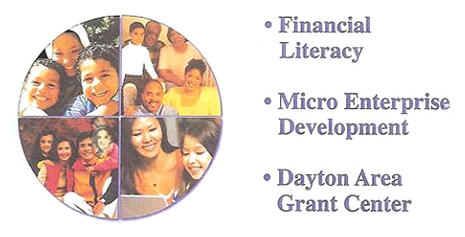 The CDCRC’s innovative whole-person approach is at the front-line of today’s national economic conversation. Our thesis for Bottom-up Economic Development is quite simple: Whole people form whole neighborhoods and whole communities; Whole people need sustainable high quality jobs; and Wealth-building is the source of sustainable high quality jobs. 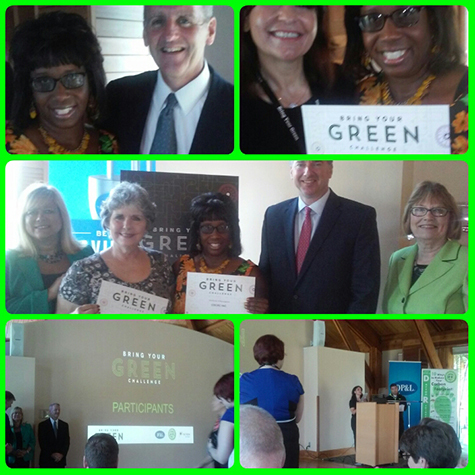 This is the basis of our opportunity together.